As November looms, so thousands of writers worldwide start to prepare for the National Novel Writing Month (NaNoWriMo). A month when they will throw themselves into the annual challenge of writing a fifty-thousand-word novel. That may sound impossible, but for many, they’ll achieve it. For others, they’ll take that enviable step of actually realizing their literary dream. This year will see me undertake my fourth NaNo journey. With each year my writing has grown, and with each year, I’ve realized there are things I need to do to improve the next years’ experience. And so, as I prepare this year, I’ve separated preparation and planning, both personally, and professionally where my writing is concerned. Angela asked me to write about my NaNo experience, so here goes. 1. Make sure you have a creative space to work in. It’s not always easy. Whether you live alone, or with a family, there’s always distractions. Whether it be the urge to tidy up and vacuum, or having to listen to your teenage sons’ music. As a result, if you are going to write, you need a place you can feel comfortable in. Do you need an uncluttered workspace? Do you work best with your family around you? Do you work with chaos around you? It’s all up to the individual. I know writers’ who work in the kitchen in the midst of their family. And writers who need to escape from the chaos that’s home. Everyone is different. If not at home, then possibly a local coffee shop, the library. You need to feel comfortable where you write to avoid distractions, and the urge to procrastinate. As a mom of six, understandably meal-times can be a little like feeding time at the zoo. However, I’ve found that during NaNo, if I prepare meals and freeze them, it makes for a far more efficient dinner time. 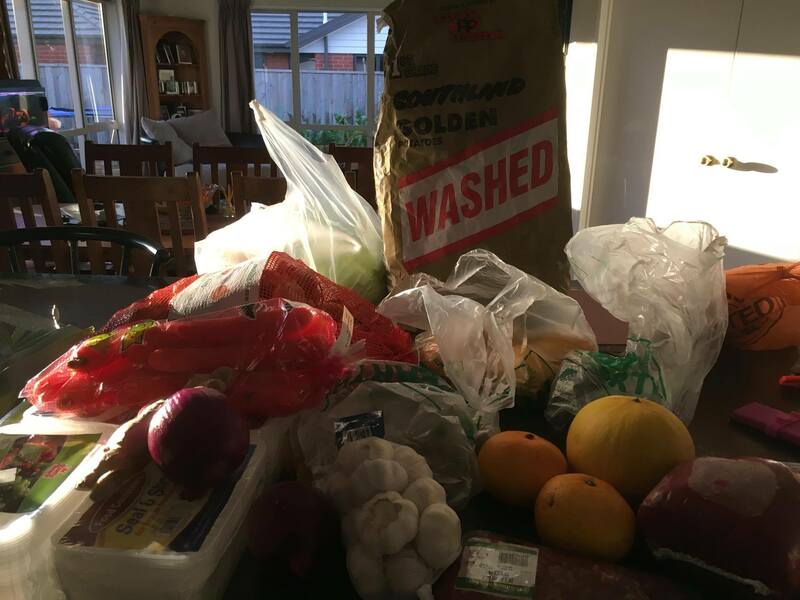 As a result, during October, every time I cook a meal, I make double the amount and freeze the extra for the following month (why I don’t do this all year round I don’t know!). I’ll make cauliflower cheese, lasagna, spaghetti Bolognese, shepherd’s pie, curries. I’ll prepare veg and then put it in freezer bags (I could probably buy frozen veg, but I’ve always preferred my own). I’ll have baking days, where I make muffins, potato wedges, anything that I know the family enjoy. So that when they’re hungry, they can merely take it out of the freezer and heat it up. Meaning they leave mom alone! 3. Make sure your family and friends are aware of what NaNo means to you, and them. I’ve traditionally used a personal contract to reinforce my commitment to NaNo. I commit to my fifty-thousand-word goal, and have in the past reached as many as 125,000 words. This has only been possible by communicating with my family. They know what writing means to me. But during November, they’re aware that they don’t come into my study. They leave me to write. My husband bought me a hat, which he jokingly referred to as my writing hat. It’s become symbolic, in that if I’m wearing it, the family leave me alone to write. Talk to your family and friends. Explain to them what NaNo is. What you intend to do. Why it means so much to you. Help them to understand why the month is important. If you’re going to commit, then you need the support of those around you. To be honest, my family become my own personal cheerleading squad. Watching as my daily tally grows. Urging me on all the way. That kind of support is invaluable to any writer. It’s all well and good committing to NaNoWriMo, but what do you want to achieve? Is it a novel you’ve always known you wanted to write, but never had the time? Is it your memoirs? Perhaps it’s a thesis? A collection of short stories? As you prepare for NaNo, set your goals. Know what it is you want before the month begins. Most people these days’ use computers, but one of the things I’ve found vital are notebooks and pens. I have small notebooks that fit in my handbag – each one labelled differently. Character notes, ideas, quotes, sources. I also have a large notebook that I use as journals and plotting diaries. I keep record of my progress, documenting how ideas evolve. How a character has changed; why I decided it needed to happen; if I decided to change a setting. All things that contribute to the evolution of my story. Not to mention picking up interesting snippets when I’m out and about. Identify what time of day is most effective for your writing. Are you a day writer? An early morning writer? Or do you like writing late into the night? In identifying it, you’ll be able to create a schedule for NaNo that most effectively uses your time for creativity. Do you want to just write for a couple of hours each day? Just an hour? Do you want to join a local write-in with the your local NaNo group. Research what’s available early, so that you’re not distracted during NaNo. Set yourself SMART goals (small, achievable, realistic targets). It might be a word count goal. I generally aim for 2,000 words a day. But I’m lucky enough to have the time to commit to having my bum in the seat far longer than many others may be able to commit. To achieve 50,000 words in a month, then the average would be around 1650 words a day. You’ll find some days that is easy. Others will be a struggle. But they will generally average out if you’re on course for the fifty-thousand-word goal. If you have a goal, you have something to reach for. A direction. So commit to that goal. That’s pretty much everything as far as the preparation is concerned. I hope this helps with others planning their NaNo journey. 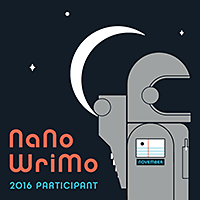 It’s an exciting time of year, and with only a little over two weeks to go, preparation is well and truly underway for 2016’s NaNoWriMo. Part 2: Planning to come! Emma Lowe moved to North Canterbury from Dunedin three years ago. She promptly joined the CWG and was overwhelmed to discover not only a network of writers, but a group of people who have become close personal friends. She has been focusing on her writing ever since (at least when she’s not juggling kids and the family business). She predominantly writes romance, and is also a member of Romance Writers of New Zealand, amongst other writing organisations. This entry was posted in NanoWriMo and tagged goals, NaNoWriMo, tips & tricks, writing.